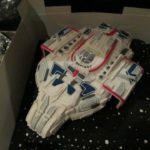 In the past, I have posted some really cool Doctor Who cakes including a Dalek cake that might be mistaken for a real Dalek and even Matt Smith’s 30th birthday TARDIS cake. 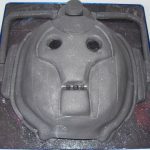 However, as cool as those both are as well as the many other Doctor Who cakes I have posted, I think this Cyberman cake reigns supreme. 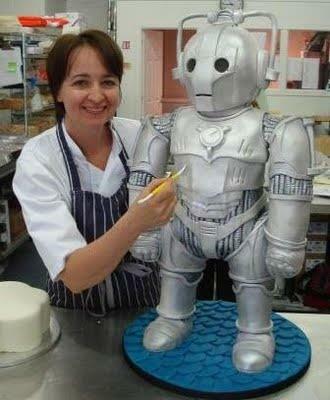 This Cyberman cake looks like it could be a kid that was converted into a real Cyberman! Unfortunately, I don’t know who this lady is to give her credit for this amazing Cyberman cake creation so if any of you know who she is, please let us know in the comments below because she definitely deserves credit for making such a fantastic cake! 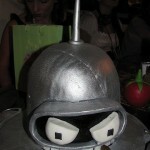 I would definitely say this Cyberman cake blows the previous Cyberman cake that I posted right out of the time vortex. 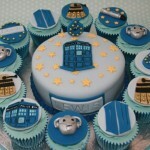 I wish somebody would make me a cake like this! I don’t have a wish to be deleted, I just love Doctor Who! 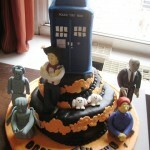 If you have ever had a Doctor Who cake made for you (or a geeky cake of any kind for that matter), let us know in the comments and share some pictures with us.